In your BAT Ferret Caterham's, what brake pads do you use? The reason I ask is when I hired the BAT 420R a while ago I found the brakes very poor. Now coming from a 2-11 anything else is going to feel very different in the braking department but the Caterham I felt completely uneasy with it's stopping. The brakes felt very wooden with no feeling of "bite" or significant slowing down and then the front wheels would lock. It was so much so that I had to take it back to the mechanics for them to look at for a second opinion. The front wheels would lock for them so that was a sign the brakes were working. 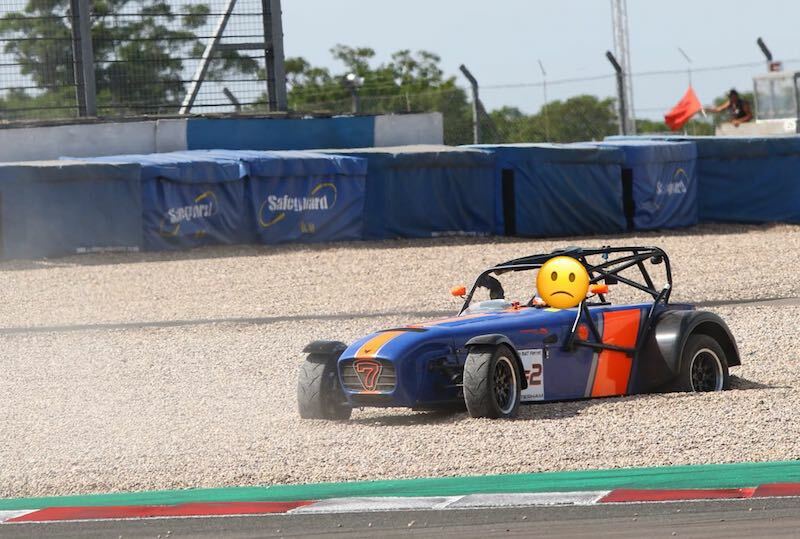 Now obviously a lot of this is down to me as a complete Caterham novice but I genuinely wouldn't want to have to slow down in an emergency in that car. Other than the brakes I thought the car was huge fun, more so than my 2-11 really. You Ferrets seem to have ample late braking ability so I'm wondering if you all use different pads more suited to the track? I'm off to test drive an Alfa Romeo Giulia Quadrifoglio this afternoon. Can't bloody wait! I can report that the Giulia is mental. I’m staggered that such a car & engine are even legal. It’s a lunatic disguised as a family saloon. Hyper alert, mobile rear end even when not cornering hard. The whole car fizzes underneath you. I don't actually know what pads are in mine tbh but nothing exotic. I do know that the racercars have beefier rears and a bias valve which mine is fitted with. I reckon they're on par with my Lotus big-brake mega stopping power as the car is so lightweight. They also last for ages and seem to just soak up lap after lap of punishment. Perhaps there was something up with the 420R when you drove it or the roadcar setup is a bit weaker? Yeah I like the 4cheese Alfa too. I was thinking about going for a test drive but then realised that Quadrifoglio was also Quadriseatio and I've got x3 kids innit Had the mega-Merc for 18months and whilst you never really get bored of 585bhp it is fookin' mahoosive when most of the time it's just me on my tod. Yeah, I have no idea what pads are in the Caterhams either. I remember at the start the brakes taking a bit of getting used to, but the feel and actual braking ability is right up there with anything else that I have driven hard on track. My 3 year old daughter came with me on the Alfa test drive. It’s a hilariously exciting car and even my wife enjoyed it. “Daddy slow down” is all I could hear over the crackle of the gear changes. For me it’s the ultimate dad machine. The reason i asked about your ferret brakes is that a genuine option for me is to sell all of my toys (2-11, E39 M5 & trailer) buy an Alfa and enjoy it as much as possible, and hire a BAT Caterham for the odd day I can find the time to do a track day. Yep no idea here either. Goes to show how cool arrive and drive (and braking) really is. Having been the victim of car crime all to often I would check the crime rate in your area first before buying that sort of car. Voice of doom sorry Adam. Agreed Jonny it’s certainly something to consider. We’re moving house to a decent area in September where it should be as safe as anywhere here in the North West. Double garage and quiet village so should be ok. I'd imagine many of us will like the Giulia because the fact that we're here, means we all enjoy something a little less ordinary. It's an Alfa though so residuals and reliability are always gonna be a worry plus it does seem to have a LOT of electronic cleverness which is a bit of anathema for me personally. You should try competition too though as both the C63S and M3CP make compelling cases for themselves and there is deals to be done as the market seems pretty slow at the moment. Can't argue with Caterham rental if you're not gonna do many days. BaT have got a full-fat racer the same spec as ours with a Sadev etc, is that the one you rented? I recall it wasn't and you had the road car. Our mate James did not seem to have an issue with the brakes when we were at Spa and he rented it! Didn’t know they had a race car!! I hired the pink 420R. Thoroughly enjoyed it.